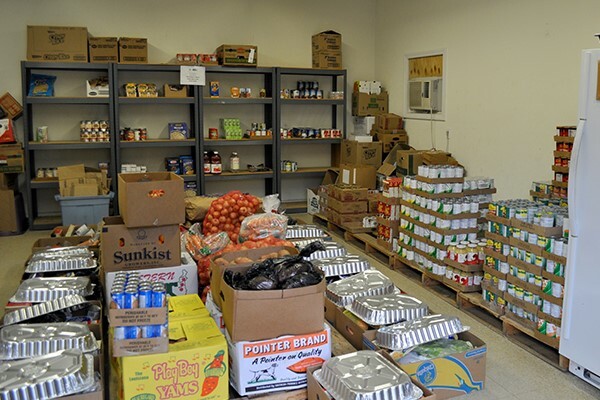 For 28 years IAM Local 1871 in Groton, CT, has provided Thanksgiving baskets for out-of-work members, needy families and others in the community.The idea, which grew out of a garage food pantry that began during a strike in 1988, has since become an annual community service event. Local 1871 prides itself on providing everything for a traditional dinner, making sure a complete dinner is provided, right down to the “Made in the USA” aluminum roaster pan to cook the turkey. Lodge President Jim “Sparky” Underhill heads up the drive with other volunteers from the local, taking in the donations, stocking shelves and assembling the baskets. The pantry, known as the Local 1871 Gemma Moran United Way Labor Food Center, is the only continually-operating food pantry in the country founded and run by union members.This year they distributed 150 complete Thanksgiving dinner baskets at no cost to working families who might not otherwise enjoy a traditional holiday dinner. IAM members and others working at Electric Boat in Groton, as well as the Metal Trades Council and Marine Draftsmen’s Association/United Autoworkers, make the baskets possible through donations. The effort has grown to also include many community businesses.